Do you have a book that you’d like to put in front of readers this holiday season? Put your book in the gift buying spotlight with the Deck the Halls Bewitching Book Tours Holiday Extravaganza. To participate you’ll need to provide details for one book you wish to promote including a high resolution jpeg of your cover and a short excerpt. 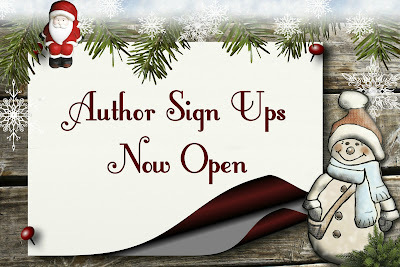 You’ll also need to provide 2-3 Winter Holiday themed guest blogs, short holiday flash fiction stories or poems. Your holiday materials may feature Christmas, Yule, the Winter Solstice, Hanukkah, Kwanza, or whatever winter holiday you choose to celebrate with your writing. Guest blogs may be recipes, DIY Tutorials, Holiday Music Playlists, Top Ten Gift Lists, holiday party planning guides, or anything related to the holidays. For the Facebook Party you’ll need quizzes, games and a few small prizes for your author party block. The fee for this promotion is $75 per author for one book, $50 for additional books by same author. UPDATE: As of September 19 only a few author spots are still available for this event. Signs ups are closing soon. Extremely interested. I planned a Dec 1 release but could move that to Thanksgiving...By what date would you need the review copies? By early November so reviewers have plenty of time to read and review. Interesting. I have a Halloween release...might be just the boost needed by Christmas to put the book back in the spotlight. UPDATE: As of September 19 only a few author spots remain for this event. Signs ups are closing soon.